He's turning the camera toward an under-appreciated segment of the city. 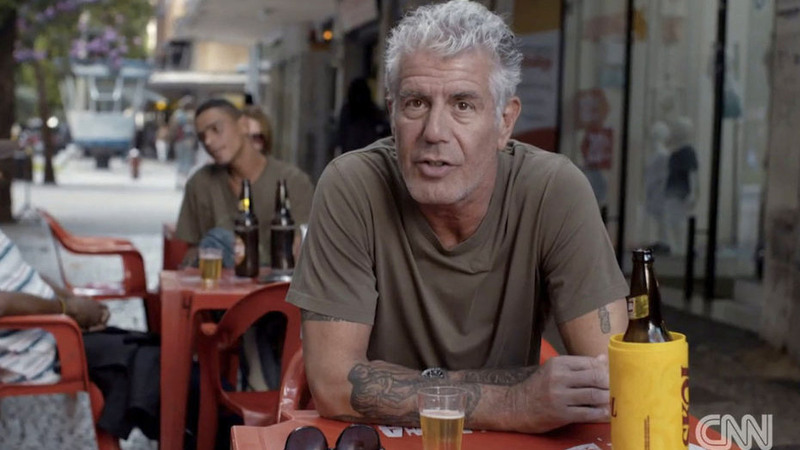 Bourdain is back this Sunday, and he's getting back to his political roots. The premiere of the new season of Parts Unknown starts off in Los Angeles, with an episode that pretends “Nobody lives in L.A. but Mexicans” – and that means he’ll be eating tons of mouth watering Mexican dishes in both the traditional and re-imagined Mexican-American style. Bourdain has done one episode focused on L.A. previously, with a 2013 entry that, in part, focused on another immigrant community: Koreatown. Before launching into the food itself Bourdain gives the audience an important reminder, and his reason for focusing on Los Angeles in particular: 1 in 10 people living in Los Angeles are undocumented – a sizeable population that the city relies for many of its restaurant workers. The episode hopes to be an homage to the city's immigrant (and in many cases, original) residents, and an appreciation of their iconic cuisine in the American food landscape. In order to do that, Bourdain interviews Eduardo Ruiz, executive chef at Corazon Y Miel and owner of Public Beer and Wine Shop, who describes what he calls “Alta-California” Mexican food, which draws inspiration from traditional dishes, but adds a new twist. He also visits actor Danny Trejo at his newly opened vegan-friendly Trejo’s Cantina, to talk about his roots and growing up in California. Of course, Bourdain visits the standard-bearers of excellent Mexican food in the city, including Broken Spanish, a high end Mexican restaurant owned by Chef Ray Garcia. But as usual, it’s at the small spots with a cult-following where Bourdain really dives into Mexican culture: At Gish Bac, Bourdain gets a lesson on black mole from Chef Maria Ramos, who is a master of barbacoa. At Cielito Lindo, in the city’s downtown arts district, Bourdain samples their famous taquitos. Then, at La Reyna, he tries the truly delicious looking cross between a quesadilla and taco called molitas. Find out what else Bourdain discovers about the sprawling and complicated city – with it’s vibrant and flourishing food scene – this Sunday at 9 p.m. on CNN.